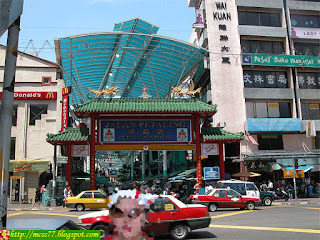 Petaling Street is Kuala Lumpur's Chinatown, where you can find all things pirated branded products, and large selection of local Chinese food and Chinese herbal and medicines. The area has dozens of restaurants and food stalls serving local favorites. 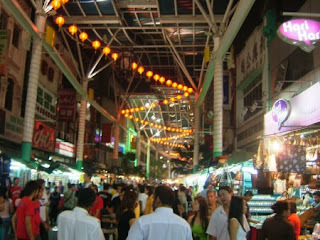 Traders here are mainly Chinese, but there are also Indian, Malay, and Bangladeshi traders. The entire street is closed to traffic during the afternoons as vendors set up stalls to peddle various merchandise, food and electronics. The place is usually crowded with locals as well as tourists. We visited here twice and I had to master the art of haggling since a lot of vendors tend to double and even triple their price. We had to be cautious with my belongings too because the street tends to get crowded and snatchers might just be around. We even witnessed a snatcher being mugged by the crowd but fortunately the police came immediately and pacified the place. The area is frequently jammed, taking a train from any LRT station is recommended. You disembark at the Pasar Seni station and walk on foot for a few minutes to reach Petaling Street.